The laundry storage situation at the Ahnert Davis household is rather bleak. As you can see from the photo below, we have the foldable laundry bag hamper from our Brooklyn days, a cheap plastic (and broken) laundry basket, the IKEA "bug" hamper which we use to tote the laundry to and from the laundry room (because the plastic basket is broken) and pile of dry cleaning on the floor (which Floopy has claimed as a bed). 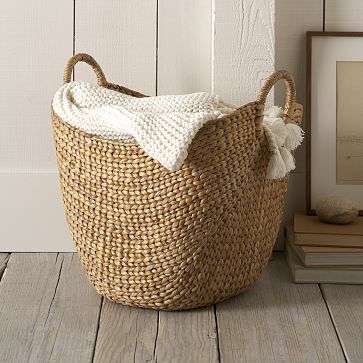 Willow laundry basket from Pier 1. A steal at $12.48. The cloth liner is useful, but it does sort of emphasize the laundry-ness. 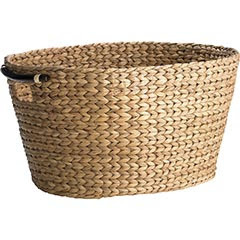 Water Hyacinth laundry basket from Pier 1. $20. Less laundry like and nice structure. 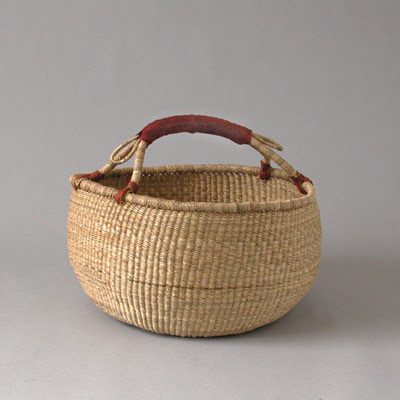 Bolga Basket from Bamboula. $36. I love the leather handle and the rustic look. 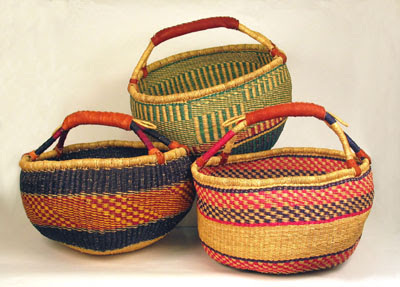 Market Basket from Bamboula. $36. A more colorful version of the same thing. Industrial Mesh Hamper from CB2. 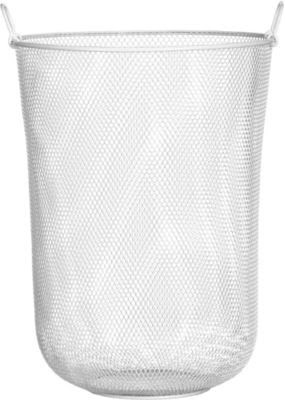 $49.95. Good volume but maybe shows a little too much of the laundry contents. And too industrial for our room. 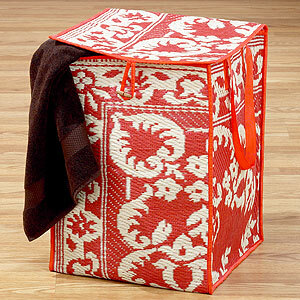 Rio Collapsible Storage Basket from World Market. $17.99. Definitely fun and well priced but since there is no size shown, I'll have to check it out in person. And perhaps it's a little dorm room-ish. 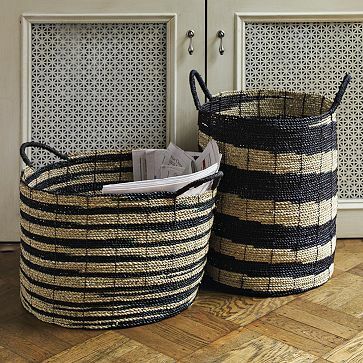 Cornelia Totes from World Market $14.99. Again a great price - and fun colors! 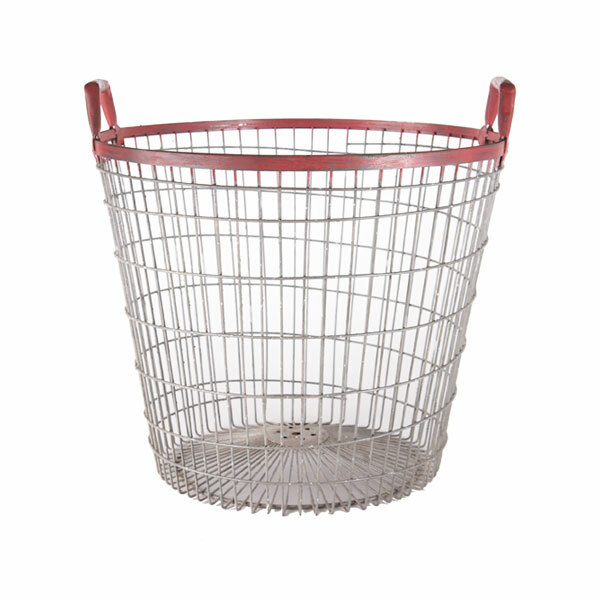 Red Rim Basket from Wisteria Home. $79.00. I like this route and it would look great in the laundry room but not so much in our bedroom. Which one (or two) gets your vote? I got mine from world market but I don't see it on their site anymore. Derp. if mine had lids the lids would be on the floor, or scott's laundry would be perpetually on top of the lids. He can barely get it in there without the lids. 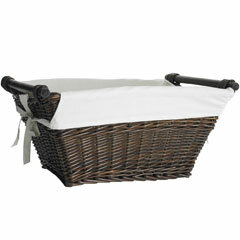 For some reason it's always draped over the side or on the floor next to the basket. 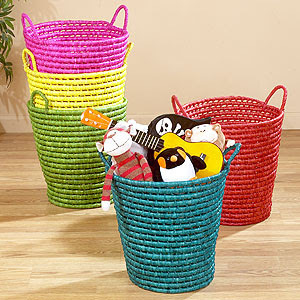 such great baskets! love them!